Wayne Eskridge knew he was carrying a few extra pounds, but he still considered himself a pretty healthy guy. 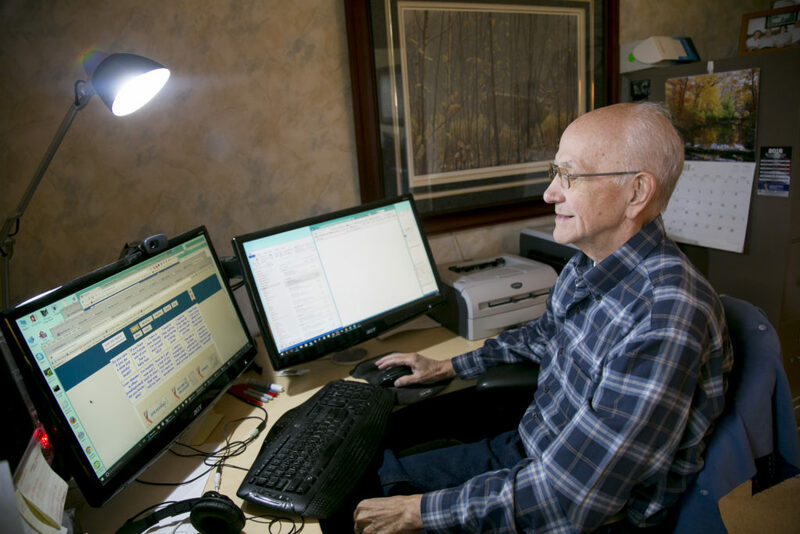 When the then-68-year-old electrical engineer underwent gallbladder surgery in 2010, though, his surgeon noticed that Eskridge’s liver didn’t look quite right. That spurred blood tests — it turned out his liver numbers were a little high — and then a referral to a liver specialist and two biopsies. The diagnosis felt like a death sentence: He had cirrhosis. His liver had become shrunken, knobby, and scarred, and would never heal; ultimately, the only treatment would be a liver transplant. Eskridge felt fine, and he didn’t drink alcohol or have hepatitis C1 like many people with liver disease. Instead, the cause was non-alcoholic steatohepatitis, or NASH, which is what leads to cirrhosis in one-quarter of people with the condition. It is increasingly common, for reasons that are unclear, and there is no known cure. Eskridge isn’t alone — people with NASH usually have no symptoms. It’s estimated that roughly 2 percent to 5 percent of adults in the United States have the disease, and that another 10 percent to 20 percent may have its milder cousin, non-alcoholic fatty liver disease, or NAFLD, according to the National Institute for Diabetes and Digestive and Kidney Diseases. NASH is expected to become the most frequent reason for liver transplants by 2020. “We don’t have a complete understanding as to why some people develop NASH, so it’s been very hard to tackle,” said Rohit Loomba, a spokesperson for the American Liver Foundation and a hepatologist at the University of California, San Diego. Patients with NASH have high levels of inflammation in the liver, which boosts the risk of cirrhosis. The cause is unknown, although being overweight, having high cholesterol, and having diabetes all raise an individual’s risk of developing NASH. The lack of a clear cause — and the absence of treatments — makes it incredibly difficult for patients to find reliable information about NASH despite the disease’s prevalence. 2 Kyle Green for STAT Eskridge is developing a website to help fill the information gap for patients diagnosed with NASH. It’s frustratingly difficult to detect NASH. A biopsy makes the diagnosis, but most patients don’t seem sick, so there are usually few clues that they need this test. There are no blood tests specific for the disease, and changes in the liver don’t show up on imaging tests until the liver begins to become partially scarred — or fibrotic. “A patient with early disease, like NASH, but without much fibrosis, might get missed,” said Michelle Lai, a hepatologist a Beth Israel Deaconess Hospital in Boston. Yet the best time to intervene is before someone develops extensive scarring, she said. Even with a diagnosis, there is no drug treatment for NASH, although that may not be true for long, in light of a recent flurry of activity in the pharmaceutical industry. A number of major pharmaceutical companies have acquired smaller ones working on treatments for the disease. In late September, Allergan bought Akarna Therapeutics and Tobira Therapeutics for $50 million and up to $1.7 billion, respectively. And last spring, Gilead acquired a NASH drug being developed by Nimbus Therapeutics in a $1.2 billion deal. Treatments coming down the pipeline attack the disease process from a number of angles, from attacking fat deposits in the liver to battling inflammation to preventing — and even reversing — the scarring that occurs over time. Among the most promising is obeticholic acid, which may slow or improve scarring in the liver and was developed by Intercept Pharmaceuticals; it is being tested to treat NASH and has already been approved by the Food and Drug Administration to treat an autoimmune liver disease called primary biliary cholangitis (formerly known as primary biliary cirrhosis). Other medicines in development include the drug originally developed by Tobira called cenicriviroc, along with Gilead’s simtizumab, which may combat scarring in the liver and elsewhere, such as in certain lung diseases. Experts think NASH may arise through different mechanisms in different people, so as in many conditions, some patients may respond better to one type of medicine than to another.